San Diego is fortunate to have world-class conductor Jahja Ling leading the San Diego Symphony. 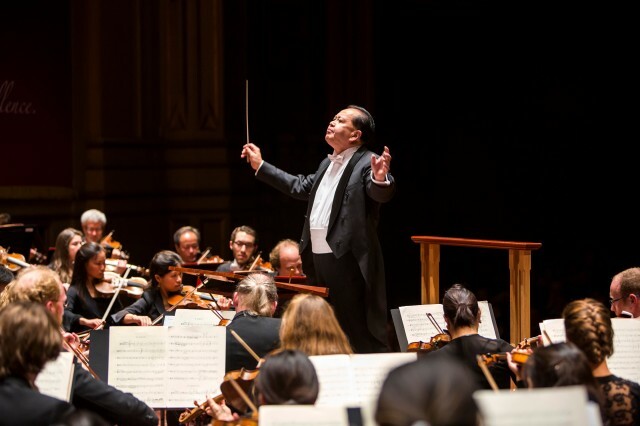 But even after 10 years as the symphony’s music director, Jahja still finds his inspiration in the city itself. 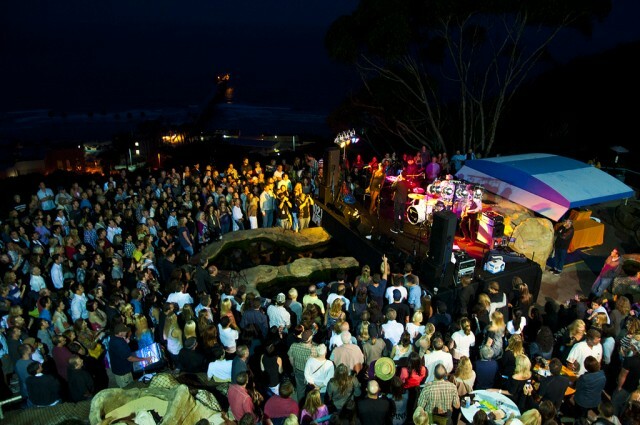 “We have great music, great culture and museums, the beautiful ocean and beaches,” Jahja says. “It’s like an orchestra! Many different pieces that are good together.” So what spots most inspire this music legend? Check out some of Jahja’s favorite San Diego hangouts. 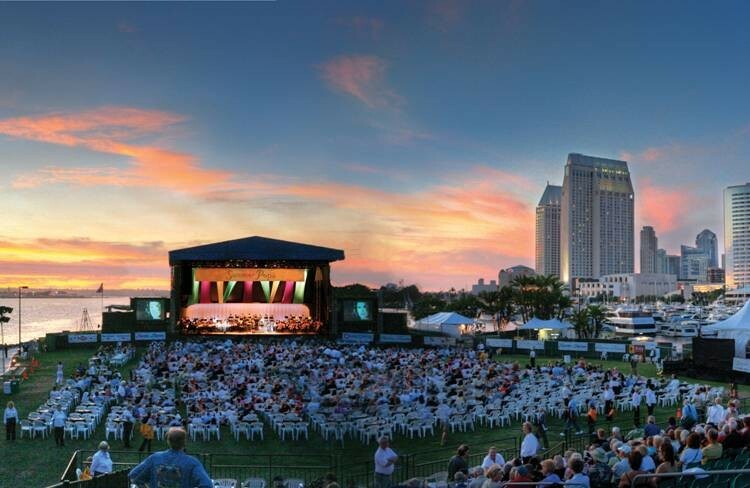 Located in the heart of downtown San Diego, the San Diego Symphony is in a prime location for pre-show dining. Here are a few of Jahja’s favorites that can be found just minutes from the symphony’s front door. Bertrand at Mister A’s: With plenty of windows all along this 12th floor restaurant and a location perfectly situated atop a hill in downtown, Mister A’s gives you a view of the entire city along with exceptional fine dining. Cucina Urbana: For high quality food with a cozy, neighborhood restaurant vibe, the creative Italian fare at Cucina Urbana is popular with many locals. Downtown San Diego has restaurants featuring just about every type of cuisine. Jahja loves pho, Mexican, and Spanish tapas. Try Cafe Sevilla for a variety of tapas and sangria during a lively happy hour. Jahja knows that even the most ardent symphony lover visiting San Diego won’t spend his or her entire trip in Copley Symphony Hall, so why not get out and try a few other Jahja-approved San Diego activities! The Old Globe: This famous theater company offers a popular summer Shakespeare Festival, in addition to many other productions year-round. La Jolla Playhouse: Many New York theater goers never know that their favorite shows like Jersey Boys and How to Succeed in Business Without Really Trying began at this San Diego theater! You may be seeing the next Broadway hit before anyone else when you visit the La Jolla Playhouse. Balboa Park’s museums: Jahja loves the variety of museums in Balboa Park. From contemporary art to a museum devoted to automobiles, there is something for everyone. Ever wonder what San Diego would sound like if it were a musical instrument? Find out the answer and more from Jahja Ling at www.sandiego.org/goodstuff. No matter how long you’ve been with your valentine (or looking for one!) here’s our 5 to Try for Valentine’s Day celebrations throughout San Diego. Spoil your man with a Beer Tasting Dinner brought to you by La Jolla Wine Tours. 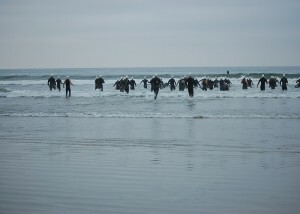 Dinner includes four-course dinner with dessert, each course paired with a local San Diego craft brew. Includes a behind the scenes tour of a brewery. Love is in the air. He’s Hugh Panaro, Broadway’s Phantom. 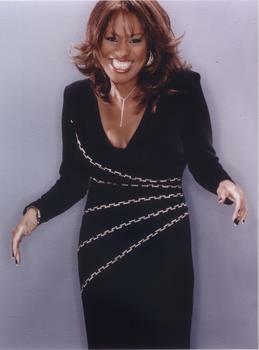 She’s Jennifer Holliday, star of the original Dreamgirls. As Cupid takes aim, sparks will fly when two of our favorite performers return to San Diego. Performances are February 10th and 11th at 8:00 pm. 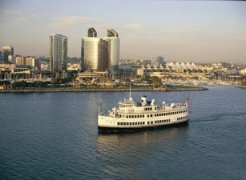 Don’t miss your chance to mix and mingle with other San Diego singles as you cruise on your own private yacht around San Diego Bay. This annual Valentine’s Hook Up Singles Cruise could be the most unique and romantic place to meet that special someone! 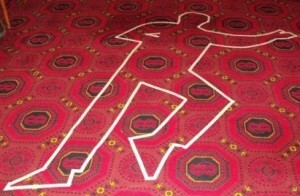 Add a little mystery to your Valentine’s Day with this interactive dinner. The show takes place throughout the entire room, and performers may actually be seated at your table, so part of the fun from the beginning is trying to figure out who’s involved in the crime and who’s not. Throughout the night, murders and mayhem will occur, hidden clues will come forth and our Detectives will help everyone try to solve the crime. 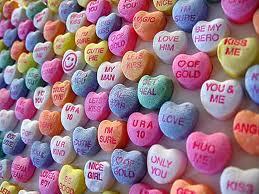 Snuggle up to your sweetie at Anthology for the most romantic show of the year. 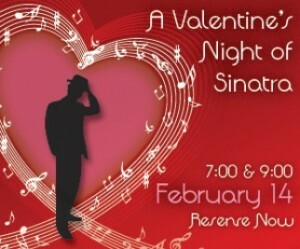 Singer, John Vincent, brings his signature Sinatra tribute show to San Diego just in time for Valentine’s Day. Vincent’s show is so spot on, you’ll think you’re being serenaded by Old Blue Eyes himself.